Get recruited to play college sports. Learn the four steps to signing and scholarships. 1. Get the Basics Right: Learn the academic, athletic, testing, and personal steps to take starting now, and get a complete freshman to senior planning timeline. 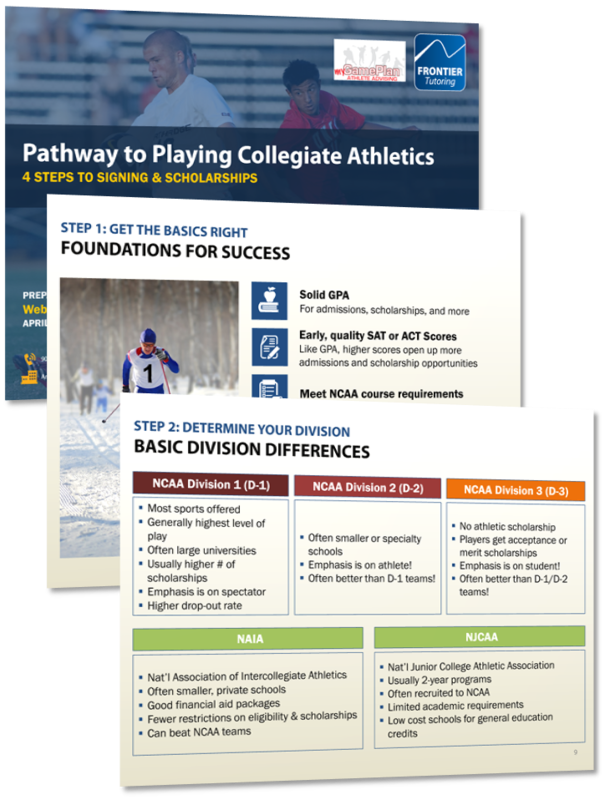 Understand the recruiting and play differences among NCAA Divisions 1/2/3, NAIA, and NCJAA. 3. Make Your List: See what factors you should consider—academic, athletic, and otherwise—as you develop your target list of colleges/programs. 4. Market Yourself: Get the scoop on creating your player profile, interest letter, and highlight video, as well as becoming visible to coaches.